Shop minimum Rp. 200.000 in a single receipt to get Magenta “Eternity Privilege Card”. Shop minimum Rp. 2.000.000 in maximum 2 combined receipts to get Gold “Eternity Privilege Card”. Only transactions at existing tenants in AEON MALL BSD CITY are valid. Shopping receipt should be official and computerized. Handwritten or manual receipts are not valid. If the store failed to issue an official and computerized receipt, AEON MALL BSD CITY will turn down the receipt. Except if the receipt can be verified by the store. Valid receipt is dated on the same day. Transactions from membership payments, bank/financial services, bill payment, bazaar/exhibition, money changer, insurance companies, tour & travel are not valid. 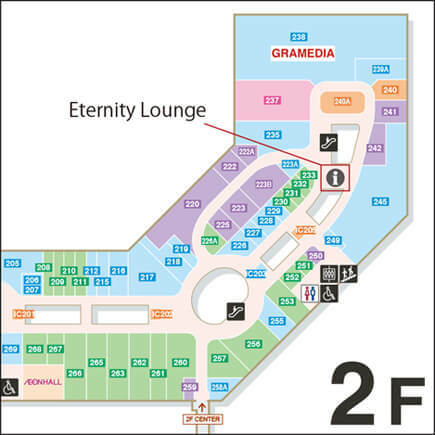 AEON MALL BSD CITY reserves the right to modify the structure, benefits and other features, of Eternity Privilege Card including Terms and Conditions.